If you’re not on Pinterest by now, you should be. There’s no need to miss out on this one social media platform that is just a few steps behind Facebook and Twitter. I mean literally, a few steps. Even so, there is no doubt that Pinterest is one unique social networking powerhouse that you should consider. For marketers and business owners, it is strongly suggested that you switch to their business accounts to get the most out of your marketing efforts. I personally have yet to do this because it took so much time to get my current account going, ugh! But it’s definitely something I am considering. 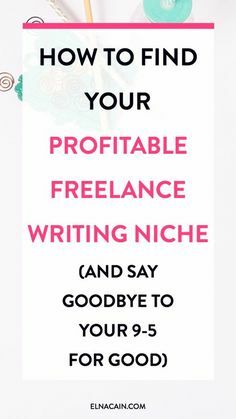 But let’s talk about how to get you going and promote your products on Pinterest, the easiest ways possible. 1. Put them in groups. For example, if you are geared towards shoes that make a fashion statement (which I love), it would make sense to group them according to season, style, and type. Group your images based on color, design, etc, etc, and any other way you can come up with. that you see fit, of course. 2. Top products should be in the “Spotlight”. That’s my own term for this. Basically, I’m talking about your most popular images being tracked via Pinterest Web Analytics. You can use this tool to see which image has the most number of re-pins, shares and likes. This tool is good to help you identify which products or images you should upload more often. In other words, it gives you a heads up about what your peeps like the most. work wonders for your biz. increase your reach and expand, which is what everyone wants, right? So, every time you upload a photo, make sure to also share it in on your Facebook, Twitter, Instagram and all other social networking accounts. Not sure what others are out there? I’ll share this with you: Use sites such as SocialAdr (a bookmarking site) or TribePro with Onlywire. This will enable other people to share your content as well, expanding your reach even further. Pinterest is very useful to business owners because it has a unique way for marketing products and services. People love visuals! And visuals drive huge amounts of traffic when done right. It has its own capabilities in boosting a business. Don’t be one that leaves business on the table.